The Canary Murder Case (1928-USA; d: Malcolm St. Clair*, B: Florence Ryerson, Albert S. Le Vino; S.S. Van Dine, K: Harry Fischbeck, D: William Powell, James Hall, Louise Brooks, JA-Alys LaFosse) 81m-Krimidrama (Roman von Willard Huntington Wright=S.S. Van Dine) (09-10; 12: sound version retakes; 2902) > ursprünglich als Stummfilm produziert*; später wurden von [Frank Tuttle] Tonsequenzen nachgedreht. 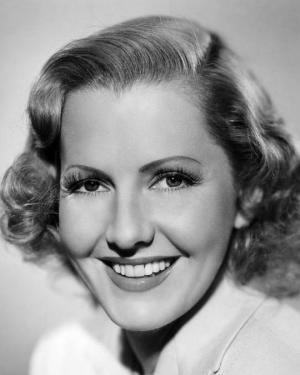 John Oller: Jean Arthur: The Actress Nobody Knew. New York: Limelight Editions, 1997 > VIII, 358 S. : Ill.
Jerry Vermilye: Jean Arthur: A Biofilmography. Bloomington: AuthorHouse, 2012 > 164 S.
Blonde, vivacious Jean Arthur is best remembered today for her unique, childlike voice and for the handful of classic Thirties and Forties movies she made for directors Frank Capra and George Stevens, such as You Can't Take It With You, Mr. Smith Goes to Washington, The More the Merrier and her last picture Shane, released in 1953. But not many know that her 30-year film career dates from the early Twenties, when she was an inexperienced contract player at Fox. In fact, Arthur appeared in more movies of the silent era (mostly program Westerns and minor comedies) than she made after the advent of sound. Born with the name Gladys Greene in 1900, Jean Arthur renamed and reinvented herself when she arrived in Hollywood in 1922, fictionizing her background and subtracting eight years from her actual age. Colleagues have recalled the eccentric personality and behind-the-scenes insecurities that negated her popularity with the press and inhibited her later career as a stage and TV star, prompting her eventual retreat into seclusion. All of these exploits and more are detailed in this comprehensive biofilmography by Jerry Vermilye, a much published author who tells his story in a brisk non-judgmental style that has drawn critical praise for his volumes on such legendary film personalities as Cary Grant, Barbara Stanwyck, Bette Davis, Charles Bronson, Audrey Hepburn, Buster Crabbe, Laurence Olivier. and Elizabeth Taylor. 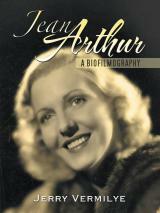 This book includes casts, production credits and critical commentary on Jean Arthur's many films, as well as 100 scene stills, portraits and candids, many of them are photographs from the author's private collection.